Uefa has fined Celtic 19,000 euros over crowd disturbances and setting off fireworks during the Champions League game at Manchester City. The governing body charged Celtic over trouble during the 1-1 draw at the Etihad Stadium last December. 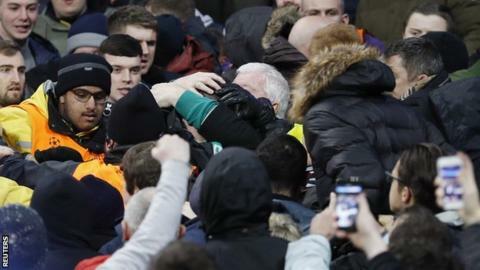 It is the 10th time in the past five years the club have been charged by European football's governing body regarding their fans' behaviour. The draw in Manchester saw Celtic finished bottom of the group. The Scottish Premiership club have yet to comment on the latest fine.